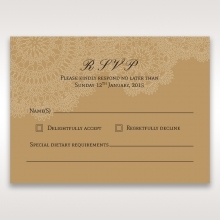 This is a lovely rustic wedding invitation. 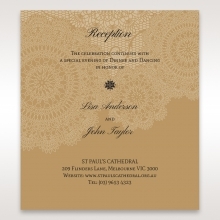 The cover is laser cut and embossed with a traditional doily design for a traditional and romantic look. 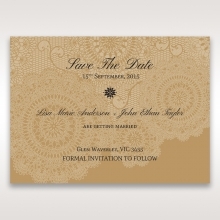 Gold stamping reading 'Marriage Wedding Invitation' decorates the front of the design. Open the invitation, and you'll see the insert with your wedding information printed in raised ink. 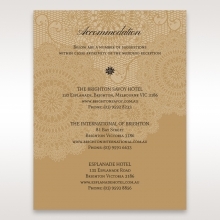 The white insert paper is texturised 110 GSM paper. 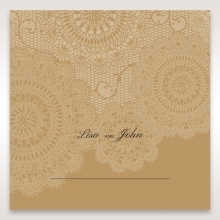 The coordinating Stationery Suite is also on craft paper with a white water mark of the doily pattern from the fold over. This is an imported item. 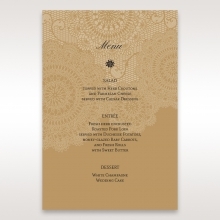 Your wedding details and the font and layout for them are all customizable, too! 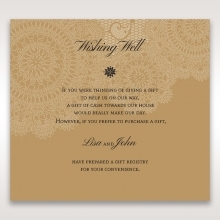 This is a great invitation for a country wedding. 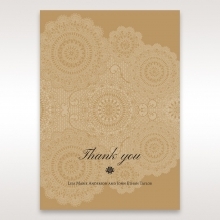 Cover PAPER: Matte White with Gold 200 GSM. Not Customisable. 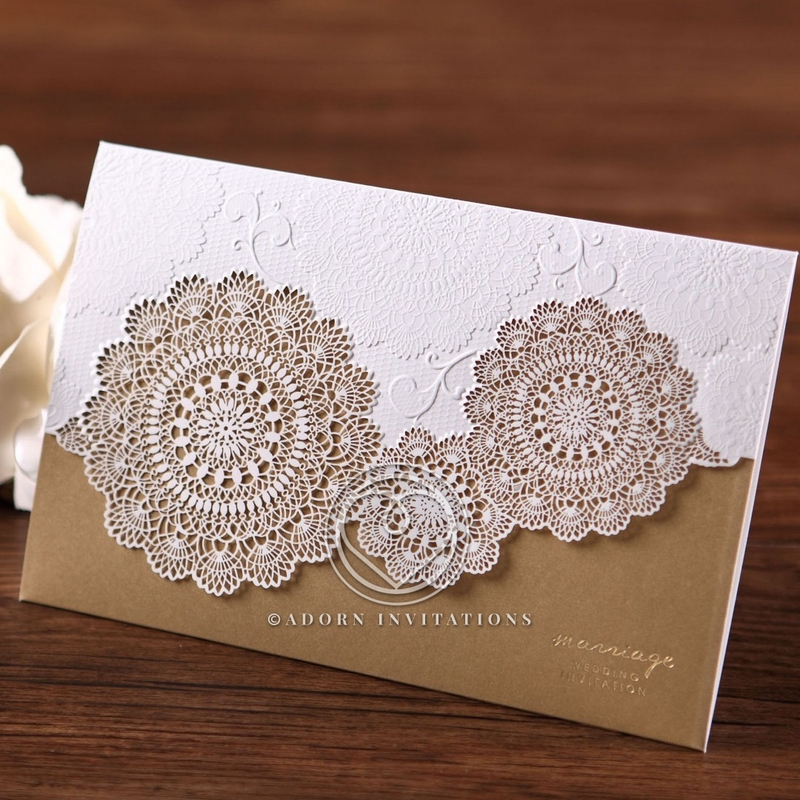 We love the simple yet intricate design. 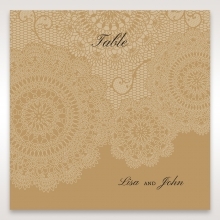 We didn't know what laser cut meant until we saw the sample - amazing! We got so much compliments from our friends. Thank you guys for the service!